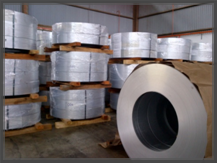 The Galvanized Iron (GI) steel sheet in coils are populary used in automobile industry, roof plate, steel pipe, oil drum, furniture and household applications like cold formed roof structure and roofing sheet. 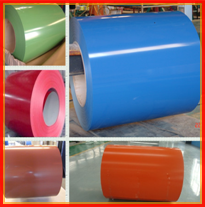 GI metallic coating line is using NOF Technology to meet Japanese Industrial Standard(JIS G3302). The Pre-Painted Galvanized Iron (PPGI) is made on the production line equipped with the most advanced Japanese Technology specializing in Zinc-Aluminium Alloy coated steel with specially designed to paint two identical layers on both sides of the product. The PPGI is based on few standards like American Standard: ASTM A755/A755M, Australian Standard: AS 2728 and Japanese Industrial: JIS G3322. The based material of both products are made from high tensile steel with yield strength from 270 ~ 610 N/mm2 with coating mass from Z8 (80g/m2) to Z30 (300g/m2). 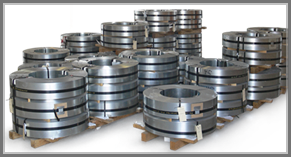 The coil width is available from 750 ~ 1,250mm and the based metal thickness (BMT) from 0.18 ~ 3.2mm.